PBS sensation and Emmy-nominated, award-winning folk group, Annie Moses Band, known for its fiery string playing and soulful renditions of beloved American songs, is taking its popular holiday show, Christmas with the Annie Moses Band, on tour for Christmas 2018. 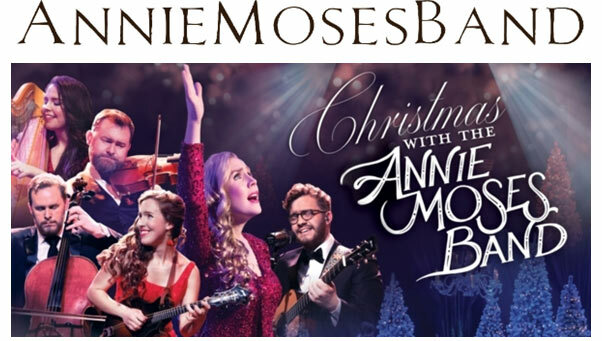 A perennial holiday favorite with audiences across the country, Christmas with the Annie Moses Bandfeatures music from its made-for-TV special that stands on the PBS charts as one of the most played specials of the season. From spirited renditions of “God Rest Ye, Merry Gentlemen,” “Deck the Halls” and “The Sussex Carol” to the breathtaking beauty of “O Holy Night,” Annie Moses Band invites fans to share in this evening of music meant to be invigorating, reverential and transporting.